Discussion in 'Gaming Discussions' started by Twigg4075, May 17, 2017. No stock photos, please, unless you want to post a digital purchase. I start things off with these beauties. 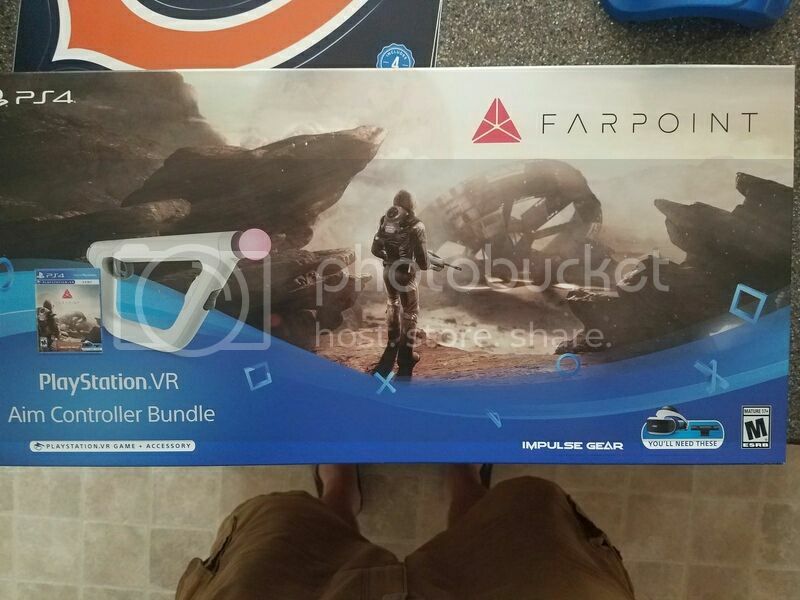 I picked up the VR this past Friday and Farpoint areived yesterday. Sorry. I didn't see one. Can someone merge them? It is probably because it is in the Off Topic section because it is Latest Purchase (Anything - including non-game related) thread. I thought this might be a thread for women/men you've met in bars, etc. I was going to ask for some suggested pick-up lines. Women don't seem to be impressed when I tell them I have a PS4 Pro with 60 inches of viewing pleasure. You didn't tell them you wanted to dual shock their world? tpaullin and Twigg4075 like this. I'm writing this down and trying it out. Better bring my dualshock along just in case. I know I've forgot to post a few things recently but here are most of my pick ups from the recent Gamestop Pro Day sale. I usually don't buy from GS, and my "new" copy of Vikings is a main reason why, but the deals were hard to pass up. Not only was Vikings opened but they used that supee sticky sticker to seal the side. It's impossible to peel off. I'm still waiting for one more VR game, Becoming Human, or something like that. 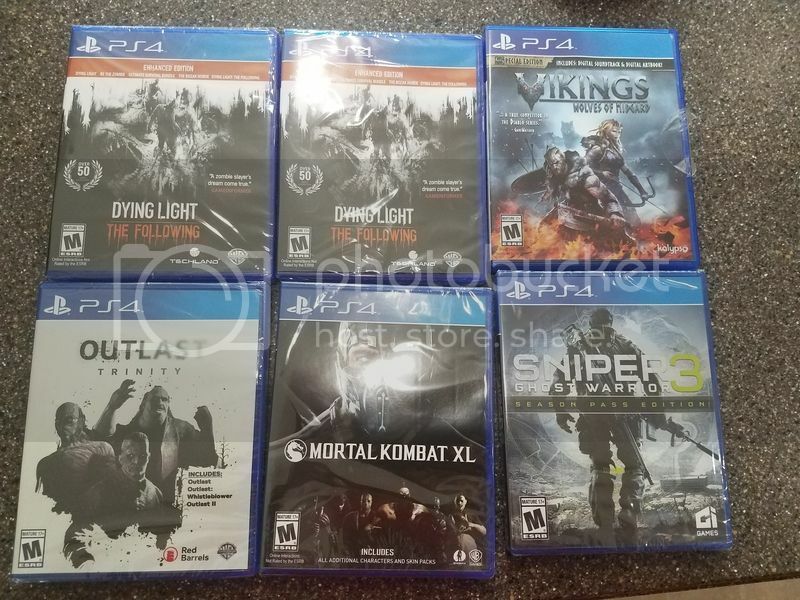 Two copies of Dying Light so both my wife and I can play. My cousin only ordered twp games from the sale and both were gutted "new" copies. I also forgot that I bought FIVE new dualshocks. Since they were only $40. I'm never the guy that basically collects controllers but they never seem to go on sale and one of mine is broken. The left stick is jacked. I noticed it while playing Horizon. Plus, my wife and I both game so I'm really buying controllers for two people. Dying Light is such a great game. I played it completely solo, but imagine it would be fun with a partner. I still think of the game and find myself wanting to play it. Too bad I traded it in. I'm really hoping we see a sequel some day. I prefer the Blue controllers so they make my headset and PS4 Pro tie together because of the blue color, but my left stick is to the point where I need another new controller myself. It's the old one apparently. I have a newer model that came with my slim white PS4 though. 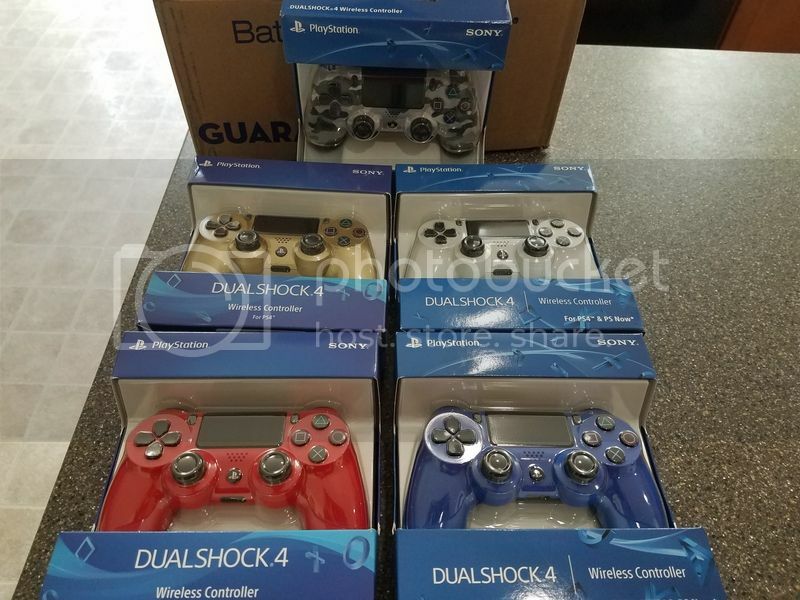 The only newer model dualshock in the bunch is the gold one. How you get a glacier white slim? Everything I see is that it is UK exclusive. Walmart exclusive. 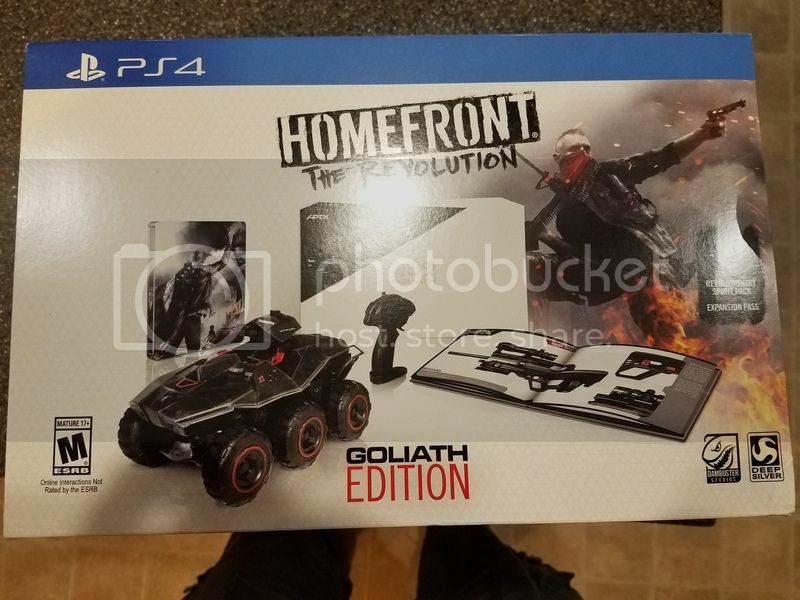 Came with CoD Infinite deluxe. I also stand corrected, the red controller is gen 2 as well. 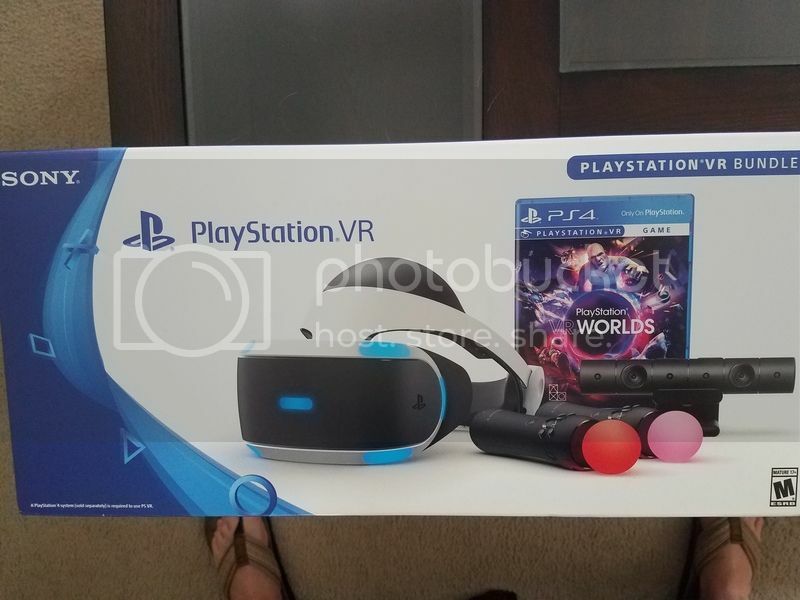 I got this for only $40 from Amazon. I also ordered two more PS4 controllers from Amazon, silver and green camo, that should arrive Monday. Someone needs to contact Sony and get this man his Glacier White controller. Nice deal, but I think also a sad comment on this game which I had a lot of hope for.